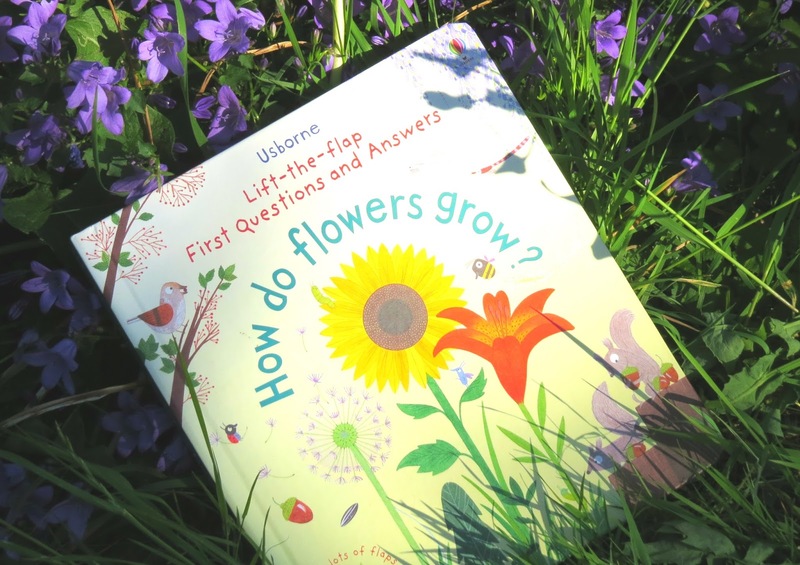 Ashleigh Lawrence-Rye: Kid's Book Review: Usborne How Do Flowers Grow? Seb and I tend to go to one of our local libraries several times a week. Sometimes it's just an easy way to use up an hour after school. On a recent library visit Seb picked up, and ended up borrowing, a copy of the How do flowers grow? Usborne's "Life-the-flap First Question and Answers" series. 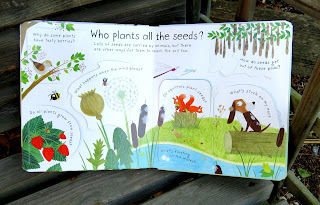 We've looked at the book countless times since, and as I'm taking it back to the library this afternoon I thought I'd review it quickly for the blog as I've never taken the time to review any children's books here before. I've been a fan of Usborne books since Seb was a baby (and much earlier, as a child myself) - and this one doesn't let the side down. The illustrations are typically colourful and fun, and like the Usborne lift-the-flap books that we have at home (Look Inside Your Body, Look Inside a Castle and Space, to name a few) there is plenty to discover on every page. 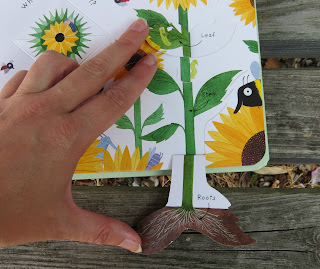 How do flowers grow? is aimed at slightly younger children than the titles above, but as a means of introducing or reaffirming simple science, it's perfect for children of Seb's kind of age (he's just turned five, and in Reception at infant school). Some of the content he's more than familiar with (what do plant's need to grow? What do acorns come from?) but I found that when Seb was helping with the gardening last weekend, he was using things he'd learned from the book, such as identifying some less obvious parts of plants, or explaining a variety of different ways that seeds are spread around, and he said himself on several occasions "it says that in my flowers book" - so he has obviously been able to understand what he's been taking in when we've read How do flowers grow? Each section covers a double (thick, cardboard) page, and has lots of flaps to further illustrate the information. If you are encouraging your children to read the book themselves, the lettering is large, clear and well spaced.